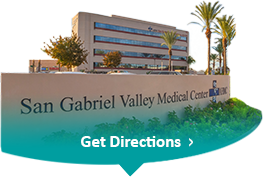 Welcome to San Gabriel Valley Medical Center. We are honored to have the opportunity to provide health care services for you and your loved ones. Our goal is to exceed your expectations and make your stay or visit with us as pleasant as possible. For helpful information on patient registration and visiting information, please click on the links to the left.